1 The supply problem: fixed by mid-February? 2 Why was demand underestimated? 3 How many Nexus 4's have been produced? 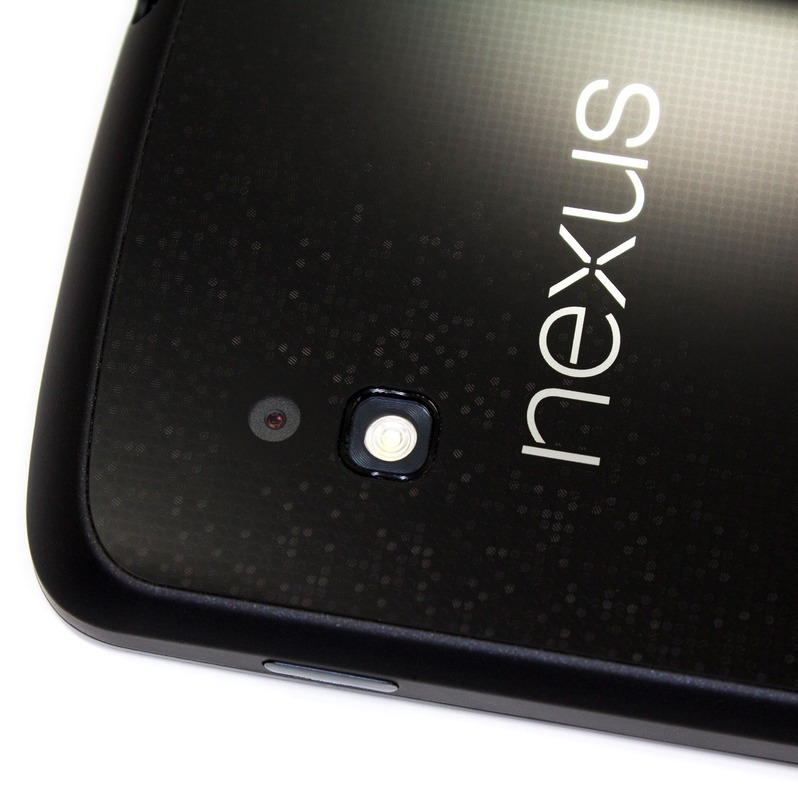 4 Why are some carriers and retailers selling the Nexus 4 at a much higher price than Google? Since day one of availability, everyone's question about the Nexus 4 launch has been - in essence - what went wrong? Well, a lot of things. But number one on that list has been the very limited supply of phones available for purchase. Recently, LG's head of mobile in France Cathy Robin was interviewed by French publication Challenges, shedding some light on the availability issue. Now, you could read a Google translation, but we all know how that goes - things get lost. Fortunately, Reddit user floflo81 has actually posted a human-translated version of the interview, which you can read here. And trust me, there are things in there you'll want to see. Alternatively, you could read this summary / analysis of the interview, which gets to some of the key questions and issues addressed therein. The supply problem: fixed by mid-February? Let's cut to the chase: when will you actually be able to order a Nexus 4 and get it in a reasonable amount of time? According to Robin, by mid-February there will be no more "tension" in the market. LG is increasing unit shipments as quickly as it can, but jumps in production won't actually be felt in the marketplace until six weeks after the ramp-up starts (which makes sense). Now, whether Robin means worldwide, in the EU, or just France isn't clear. So take that with a grain of salt. But what was the reason for such limited supply from day one? Underestimated demand, according to LG. While Robin says it's nobody's fault, she also pretty much says it's totally Google's fault in the same breath. Robin claims Google submitted orders to LG for Nexus 4 units based on demand for previous devices, eg, the Galaxy Nexus. But when the phone went on sale, demand vastly exceeded that estimate. In some markets, like France, the demand was underestimated much more severely. I can only guess that a similar underestimation is afflicting us here in the US. And really, that is Google's fault, if it's true. And why wouldn't it be? Google is LG's customer: Google commissions the phone, it buys them from LG, and sells them to consumers. LG also sells part of the supply to carriers (like T-Mobile), though it's unknown just how cheap those carriers are getting them for, or if Google is paying less than everyone else. Robin says LG would "have no incentive" to sell a smartphone at a loss, so that still means even Google is paying at least slightly more than cost for these devices. How many Nexus 4's have been produced? Robin says that the internet estimate of 375,000 units is "a lot lower" than the actual figure. She provides no specific numbers. Why are some carriers and retailers selling the Nexus 4 at a much higher price than Google? Robin insinuates that, for carriers, it's a lot better to incentivize a contract than to sell an unlocked phone for a low price. Which makes sense. She does not say whether LG charges customers other than Google more, but my bet is that's at least partially to blame. Google will be LG's biggest customer, and so it probably gets a better volume discount. There is a lot of incentive to sell it to Google cheaply, too. LG gets to be totally hands-off in marketing and supporting (other than warranty repairs) Nexus 4's sold through Google Play, which saves a lot of money. Google helped design the phone, as well, and it's Google's name that really generates the demand for it in the first place. It sounds like LG is ditching phablets in the European market, though that probably means the US market, too (Asia will still get the Vu 2). LG won't be embracing Windows Phone 8 any time soon, it's "not high-priority." 1 million Optimus G's have been shipped. The "G" brand will be sticking around, representing LG's top-of-the-line products. And as I said previously, if you want to read the whole interview translation, check out this Reddit thread. You can find the original article here.